The preschool years are a time when children learn at a very rapid pace, and it is especially noticeable in their language development. 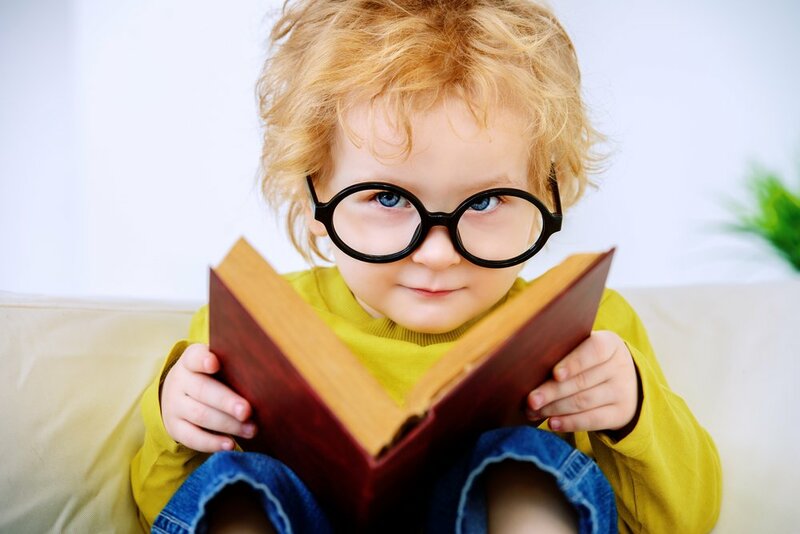 Taking a couple of minutes of the day to read with your child will dramatically increase his language skills. Plus, reading is a great bonding activity that will strengthen the emotional ties between you and your little one. Illustrations are still very attractive for this age group. Look for picture books with colorful and big pictures that you can comment about while reading. Does your little one have a favorite character? From Barney to Paw Patrol, there’s plenty to choose from. Pay attention to your child’s interests and work around them. Find stories with basic plots about subjects that your little one is curious about or that somehow relate to your child’s experiences. Children this age love rhyming books. Look for books that are fun to read out loud and are easy to memorize so that your son can eventually join in on the fun! Dr. Seuss’s books are a great option! Stories that review basic concepts like colors, shapes, letters, and numbers are always good to have around. Activity books, such as hunt-and-find books or sticker books, are another great option for fun reading time. They provide endless entertainment for this age group.